BUCKSTRUT'S BIG RED 1 STE. 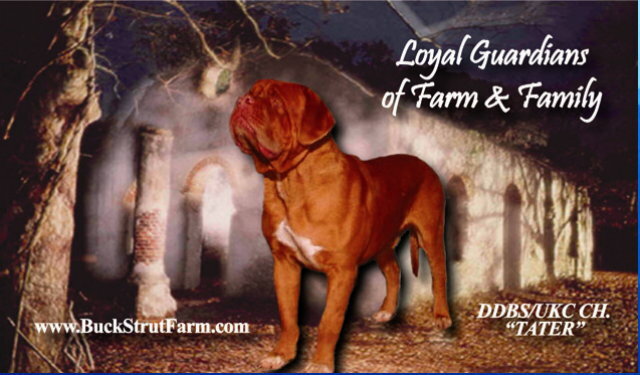 "TATER"
& WORKING DOG TITLES !! AMERICAN & CANADIAN CHAMPION TITLES!! UKC TOP TEN FOR 2003, 2004 & 2005!! VIEW OUR LITTER BORN 09/16/05!!! ORDER YOUR COPY and/or ADVERTISE NOW! CLICK HERE! 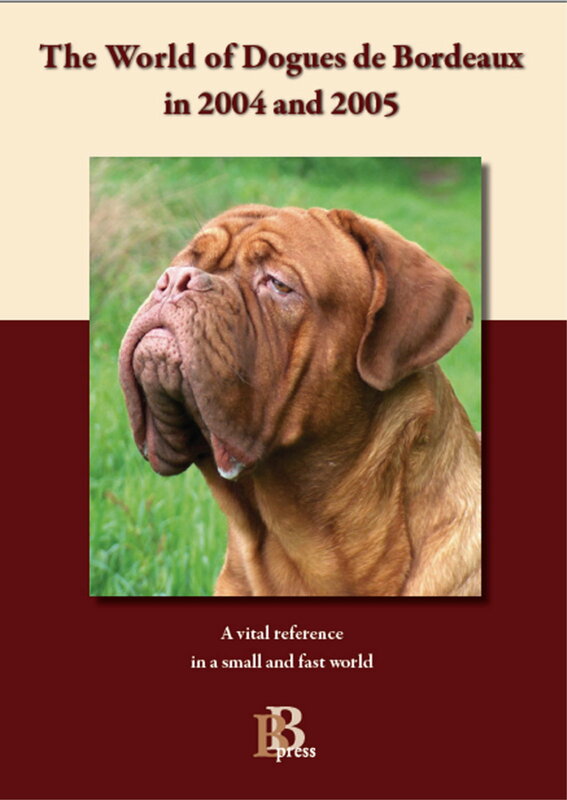 "THE WORLD OF DOGUE de BORDEAUXS in 2004 and 2005"